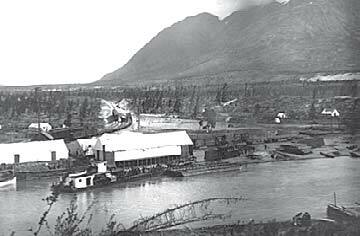 The traditional First Nation trading routes from the coast over the White and Chilkoot Passes were overrun by southern gold seekers during the Klondike Gold Rush in 1898. The old trails were packed flat and wide by thousands of stampeders. The passage of goods over the Chilkoot Pass was improved with an aerial tramway and a private toll road was constructed on a section of the White Pass route. 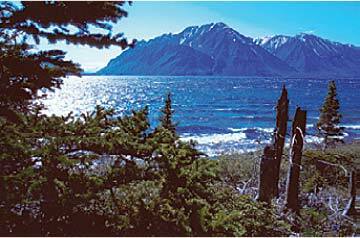 Mining developments in Yukon and Alaska caught the interest of a few British businessmen looking for investment opportunities. Construction of the 180-kilometre White Pass & Yukon Route (WP&YR) narrow gauge rail line from Skagway began in 1898 and was completed to Whitehorse in 1900. A wagon road between Whitehorse and Carcross was built in stages in the early 1900s. 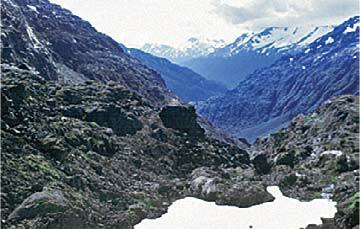 In 1907, a twenty-mile road was built from Robinson, about 15 km south of here, to the western mining districts. 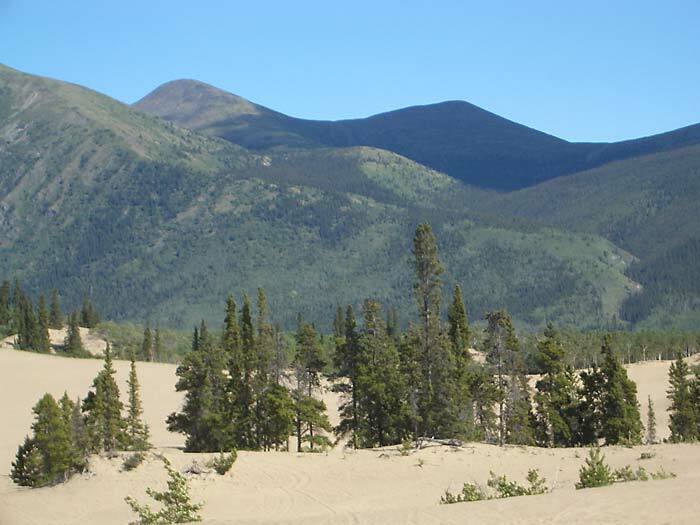 A 19-km road was also built along the beach from Carcross south to a steamboat landing for the silver mines on Windy Arm. 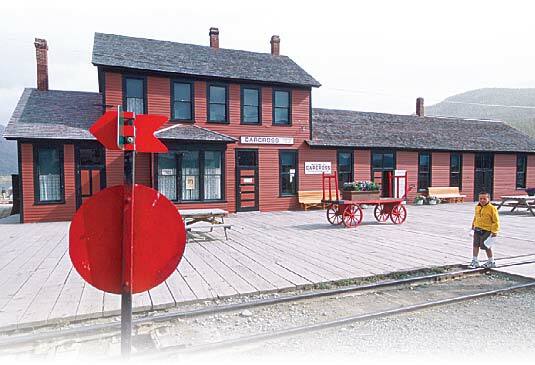 The railway depot, built in 1910, is a designated Canadian Heritage Railway Station and operates as a Visitor Information Centre. Visit the depot to see interesting exhibits about the region.